0 comments in this post Published by jgallego in Viajes | 22/02/2015 19:21 . 0 comments in this post Published by jgallego in Amphibia, Anura, Fichas | 22/02/2015 13:54 . 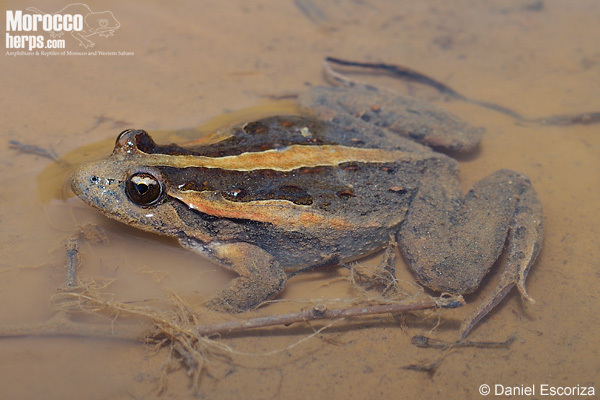 0 comments in this post Published by jgallego in Amphibia, Anura, Fichas | 11/01/2015 17:15 . More information in the Discoglossus pictus species page. 0 comments in this post Published by jgallego in Amphisbaenia, Fichas, Reptilia | 07/01/2015 12:28 . 0 comments in this post Published by jgallego in Viajes | 05/01/2015 18:28 . 0 comments in this post Published by jgallego in Viajes | 02/01/2015 16:28 . 1 comment in this post Published by jgallego in Viajes | 24/11/2014 21:11 . 2 coments in this post Published by jgallego in Publicaciones | 05/08/2014 0:16 . 0 comments in this post Published by jgallego in Amphibia, Anura, Fichas | 22/06/2014 17:43 . 2 coments in this post Published by jgallego in Fichas, Reptilia, Sauria | 24/05/2014 22:33 . 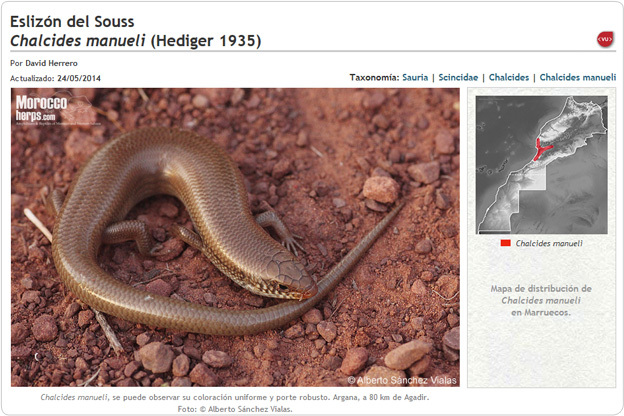 More information in the Chalcides manueli species page.